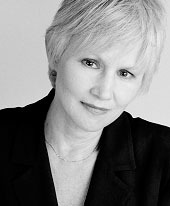 Brenda Currin, an Obie award winner, began her acting career as the daughter in the film of In Cold Blood while still in college. Other films: Reds, Taps, The World According to Garp (Pooh), Life With Mikey, and the cult classic, C.H.U.D. Theater, My Sister in This House, Sister Mary Ignatius, Threepenny Opera, The Art of Dining, Museum, Vienna"Lusthaus, The Hunger Artist, The Cherry Orchard, The Ghost Sonata, etc. Brenda has focused her theatrical career largely on collaborations of original pieces and adaptations. She collaborated with David Kaplan to adapt Sister and Miss Lexie , from the entire body of Eudora Welty's work, her one person show which received critical acclaim. She also performed in Kaplan's adaptation of Welty's "Music From Spain". Brenda will be soon be perfoming in Behave Yourself, a new play by Leslie Ayvasian, and will be directing The Foggy Foggy Dew, a new play by Wendy Kesselman which will premiere at the Tennessee Williams Festival in Provincetown, Massachusetts in September. After earning her Master's degree in anthropology from Hunter College in 1996. Brenda earned her Master's degree in anthropology from Hunter College in 1996. She did her field work in Chiapas, Mexico and wrote her thesis on a contemporary Mayan theater company and the Zapatista Revolution. She went on to co-found and become the Artistic Director of What Girls Know, a developmental theater program for adolescent girls . Brenda received training from the famed Creative Arts Team at NYU who have a track record of creating theater with young people based on a combination of sound pedagogical principles and theatrical artistry.